It’s been almost two years since cannabis was legalized for recreational use in California – and the business, economic and legal implications are profound. 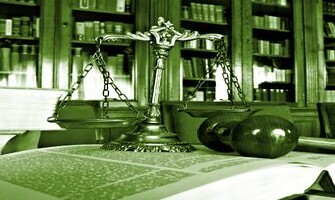 Last Friday, California regulators published the first draft of permanent adult-use and medical cannabis laws. This kicks off the process of hearings and public comment that will conclude at the end of 2018 with a final set of regulations governing the emerging industry. Proposed laws fill the 315-page document, sent out by the Bureau of Cannabis Control, the Department of Food and Agriculture, and the Department of Public Health. Lori Ajax, chief of the Bureau of Cannabis Control, said, “The regulations we now propose include changes that make it easier for businesses to operate and strengthen public health and safety policies.” State agencies will hold ten public meetings around California through August to collect public comments on the proposed permanent laws. Comments may also be submitted by letter or email. At our upcoming Recreational and Medical Marijuana Law and Business in California conference on November 1st-2nd, we’ll go in-depth on a variety of issues in this burgeoning industry for attorneys, investors and business operators. For those who serve clients in the cannabis industry and those attorneys who want to move into this space, our program will help you navigate the rules, regulations, and legal ramifications of legalized marijuana in California (and federal issues affecting the state’s cannabis industry as well). For investors and business people in the market (or thinking about entering the market) what do you need to know? What are the difficulties businesses face – from retail to growing and distribution? By the end of our conference you will be well-versed in most of the critical legal, business, and investment-related aspects of this rapidly expanding industry. 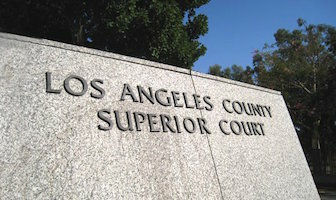 Dynamex Operations West v. Superior Court is the newest development in the debate regarding workers being classified as independent contractors or employees. “A. 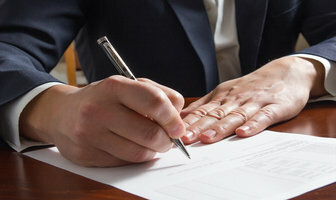 The worker is free from the control and direction of the hirer in connection with the performance of the work, both under the contract and in fact. B. The worker performs work that is outside the usual course of the hiring entity’s business. The Dynamex decision will have lasting effects on California companies using independent contractors. On Tuesday, California Governor Brown chose attorneys from Big Law firms to help fill 25 openings on California trial courts. Brown appointed judges to the following counties: Alameda, Contra Costa, El Dorado, Humboldt, Los Angeles, Orange, Plumas, Riverside, San Diego, Santa Cruz, Shasta and Sonoma. As most everyone in California knows, beginning January 1, recreational marijuana is available for purchase by anyone 21 years or older.According to The Recorder, a study from the University of California Agricultural Issues Center at UC Davis, estimated the state’s recreational marijuana sales could reach $5 billion a year, though other studies are estimating $100,000 million for the first year. Either way – it is going to be a huge economic boom. We’re calling it the new Pot Com. Companies are also prepping for the inevitable regulations that will come with legalized marijuana and marijuana is about to become big business. That comes with large legal departments and legal services provided by attorneys at all sizes of firms and in a variety of legal specialties, as we have said before. You can get the latest story from The Recorder here. 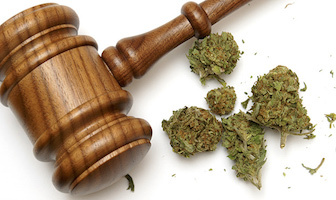 Also, if you are interested in learning more about the legal aspects of the cannabis industry, be sure to check out our recorded seminar Marijuana Law and Practice 101 held in California in 2017. Nearly half of all prospective lawyers who took the California Bar Exam in July passed this year. 49.6% of test-takers passed the exam, up from 43% last year, which was the lowest pass rate in about 30 years, according to The Recorder. 62% of first-time applicants and 28% of repeat applicants passed the exam. In total, 8,545 people took the exam and 63.2% were first-time applicants. The July 2017 exam was the first time the test has been administered in a two-day format. Exams are held in February and July each year. A pass list from the exam was published on the CA Bar’s website yesterday. More detailed statistics about examination results will be available in approximately three weeks. If you’d like more information about the passage rates and statistics of this year’s exam, please CLICK HERE to see the published results from the California Bar. Congratulations to the 4,236 applicants who passed the exam this year!! January 1st will mark the first day of legal adult use of recreational cannabis in California. With an Instagram account and new website the Bureau of Cannabis Control in California will re-focus its purpose from regulating the medical industry to regulating the legal market for adult use. Read more from The Recorder here. With changing laws and regulations in California, and across the nation, it is more important than ever to stay up to date on the expanding area of law. Recently, we held a cannabis law program in California which focused on advising clients in the new legal marijuana industry. This program is currently available as an audio program. You can find more information or purchase that here. A few days ago we posted a blog about the possibility of the California State Bar lowering the minimum passing score on the California Bar Exam. Now it looks like they have shifted the decision to the California Supreme Court to handle. 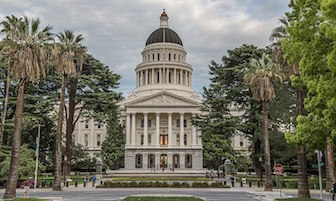 The California State Bar committee, which includes deans from several law schools in the state, have offered the justices a range of choices on the topic from leaving the score as is – 144 – to lowering it to 139. A Bar commissioned study came to the conclusion that the score could be lowered to 141 and still ensure that those who have passed will have the minimum standards of competency to practice law. This is still a hotly issued debate and the California Supreme Court has not made any comment on the topic. Read the full story from The Recorder here. Currently the score for a “pass” on the California State Bar exam is 144 but a California State Bar committee, which included deans from many California law schools, recommended that it be lowered to 135. The Law School Counsel, which includes many California law school officials and California State Bar Examiners, also endorsed lowering the score. 135 is the most common cut score in other states. Many deans feel that the higher pass score in California puts California test takers at a disadvantage compared to students in other states, while others argue that the higher pass score produces top-notch attorneys who are more likely to adhere to ethical guidelines. You can read more from The Recorder here. Three California State Appellate judges were appointed to the bench by Gov. Jerry Brown and confirmed February 9th. 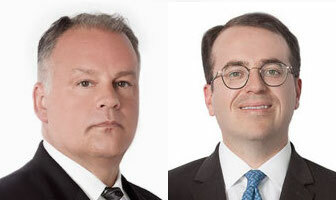 San Diego Superior Court Judge Willilam Dato and Riverside County Superior Court Judge Richard Fields were approved to and are now on the Fourth District Court of Appeals. Judge Kathleen Meehan of Fresno County Superior Court was appointed to the Fifth District Court of Appeals. Read more here from The Recorder.